My name is Tasha Patel and I am a 5th-year medical student from the University of Newcastle, Australia. 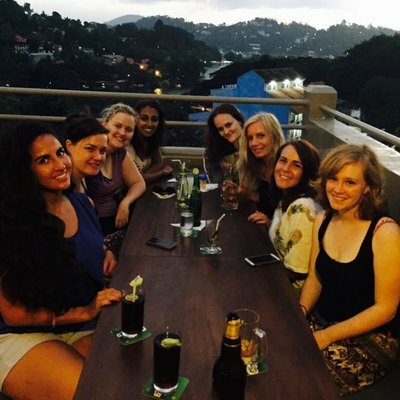 I chose to travel to Kandy, Sri Lanka, with Work the World for my one-month elective in June/July 2015. I had always planned to complete my elective overseas, but wasn’t sure how to organise it. I knew a few friends who had been to various locations around the world with Work the World (WTW), and they had all loved their placements, so after looking up the website and speaking with the lovely Australian staff on the phone, I decided to plan my elective with them. As I was studying for exams back home, I hadn’t had much time to focus on planning much of my trip. Work the World was super helpful in this respect, as they were always happy to quickly respond to my silly questions via phone or email, as well as providing loads of information on things like what to pack, how to sort out money and visas, and reassuring me that I will always be supported despite my disorganisation! This support continued when we arrived in Sri Lanka. Right from when we arrived at the airport, Yashika was there to meet us and we were taken care of the whole time. 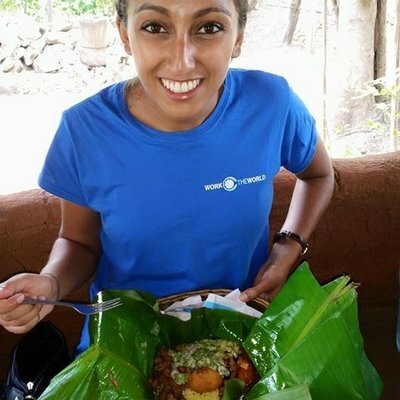 Nandika and Mewan at our houses in Kandy were always happy to help with any questions and were especially keen to help plan fun trips on the weekends. 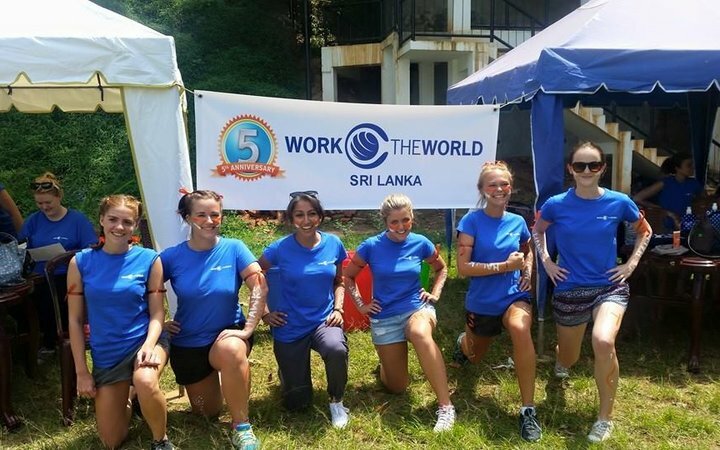 We spent our weekends travelling and exploring Sri Lanka with the help of the local WTW staff who were always happy to advise us on the best ways to travel. 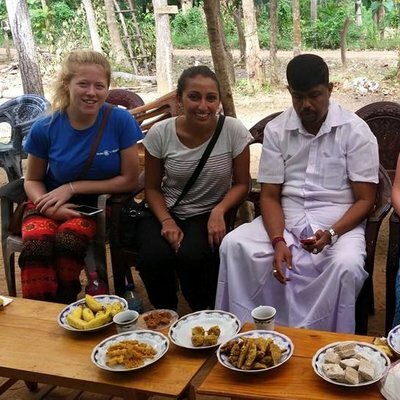 We sipped tea amongst never-ending plantations, enjoyed amazing views from Little Adam’s Peak in Ella, snorkelled and basked in the Trincomalee sunshine and explored Sri Lanka’s history at the cultural triangle. Aside from our weekend travels, the hospital too was an incredible experience in itself. The hospital is one of the largest in Sri Lanka and it is packed full of people needing care, with patients sharing beds in some wards, and some even lining the hospital corridors. I spent three weeks in general medicine during my time at the hospital. The doctors all spoke English and were happy to help us students participate in the ward rounds. We saw some interesting and different cases, particularly infectious diseases such as dengue fever, tuberculosis and leptospirosis. We also saw chronic diseases like diabetes and liver disease that without intervention had progressed further than they ever would in Australia. I came away from my hospital placement with a newfound appreciation for the Australian hospital system. 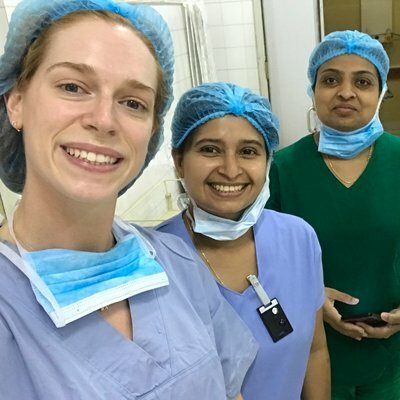 In Sri Lanka, the hospitals are so busy that the staff work exceptionally hard to try and care for huge numbers of patients. I particularly came to appreciate that compassion and patient care can transcend language barriers. Patients do not need words in order to be comforted; body language can be enough. Don’t be afraid to be proactive and involved; everyone is human regardless of cultural and language differences! 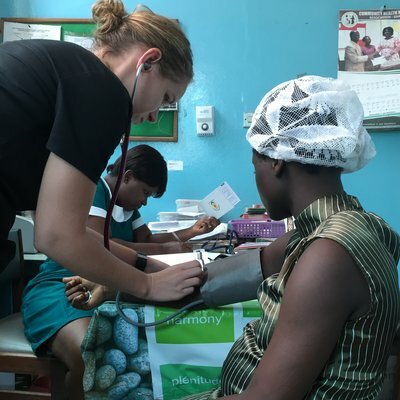 I spent one week on the WTW Village Healthcare Experience in the small town of Habarana. I cannot recommend this week highly enough; it was the highlight of my trip in Sri Lanka. Sam and his family welcomed us into their home for the week and we were fed like kings! It was wonderful to spend a week inside a loving family home of multiple generations, from grandparents to grandchildren. The kids had a wonderful spirit and I attempted to improve my cricket skills by playing with them in the afternoons! The Ayurvedic doctor at Horiwila has a loyal following of patients who come from all over Sri Lanka (and some from all over the world, including patients from the UK, Australia and Switzerland!). He opened up his medical practice for us to explore. 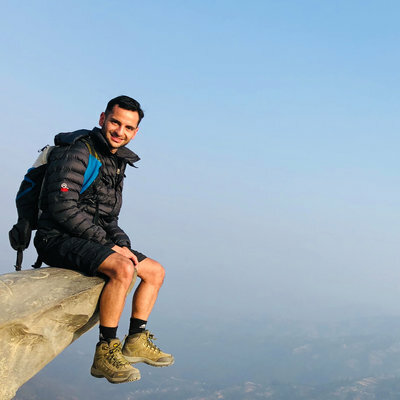 This was a totally new experience for me, and it was really interesting to compare how the Ayurvedic doctor often used similar principles to Western medicine but applied them in alternative ways. We got to see the herbal garden where the doctor grew his medicinal plants. We also had the chance to participate in making the medicines and had a look around the doctor’s pharmacy where he bottles and sells medicine to his patients. 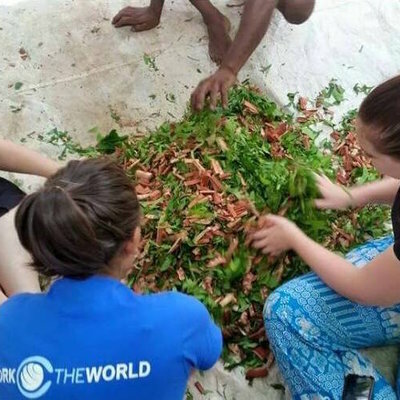 Other activities in Habarana included an Ayurvedic massage, an ox-cart ride through the town, and (my favourite), going down to the local river and giving an elephant her daily bath! Overall, my trip with Work the World has been a once-in-a-lifetime experience. I’ve made great new friends, seen a beautiful country and gained new skills to take back home for my medical practice in Australia.